When you need a padlock to keep your valuables safe out of harms way, there's no getting past this range of high security padlocks. Use on gun cabinets, jewellery boxes, Garage and shed doors and a thousand other uses. 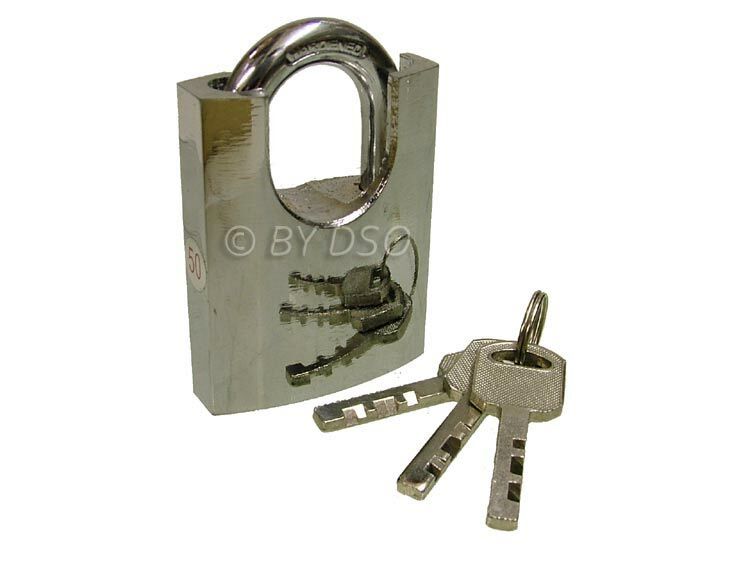 Manufactured from solid brass with chrome plating, heat treated for extra durability and featuring a brass cylinder core which is only unlocked with a high security key (4 included). The shank is protected by the padlocks solid brass casing to add protection from thieves. Comes with 3 high security keys made from brass.